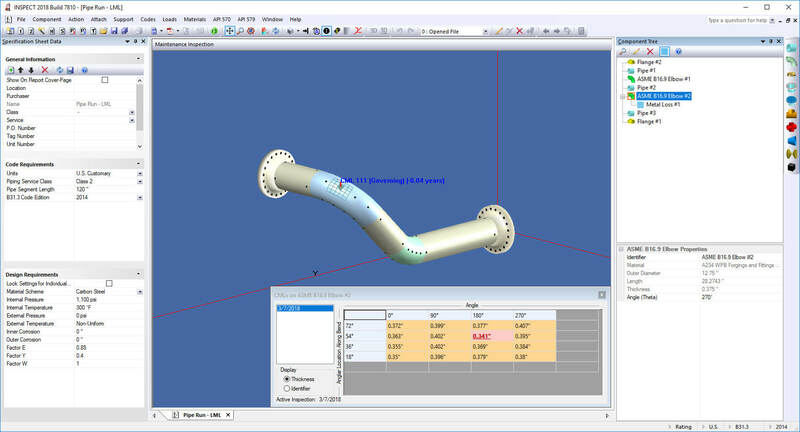 Includes a simple to use interface that speeds pipe model creation. Can load pipe models directly from any software that exports .pcf files including ISOGEN® and AutoCAD®. Provides automatic or manual CML (condition monitoring location) placement on pipes and elbows. Inspection locations and flaws are shown on the pipe model in 3D. 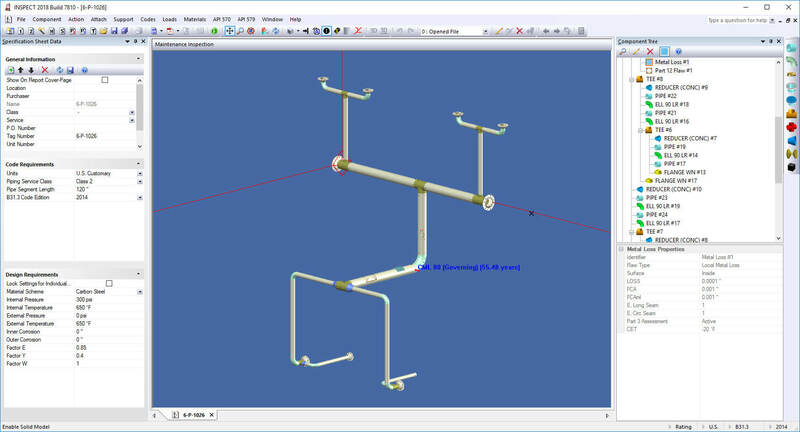 Quickly produces piping drawings using the bundled Codeware Interface add-in for SolidWorks®. Shows API 579 flaw locations on drawings created by the Codeware Interface. Flaw locations can also be displayed in Google Earth by clicking on the GPS coordinates in the corresponding flaw report. Manages thickness survey measurements and includes data logger (thickness gage) integration. Performs API 579-1 FFS assessments, as allowed by API 570, on a wide variety of flaws. Produces API 570 pipe tmin calculations compliant with ASME B16.3 and B16.4. Features built-in, fully user customizable API 570 checklists. Determines remaining life times and inspection intervals.